‘La Lucha’–Goma’s own brand of Indignados. Article by Kris Berwouts. La Lucha is driven by Congolese youth who are smart and empowered, and confident that they can bring about positive change in the Congo, and indeed, in Africa. They are fighting for human rights, better governance, and stronger democracy. Based in Goma in eastern Congo, most of these youth have known armed conflict and war for all, or almost all, their lives. It is for this reason that nonviolent action is the core principal of La Lucha and its members. These are brave young people. During peaceful gatherings, some have been detained and physically abused. But still they return to their actions, continue to demand change, and believe in themselves. We don’t expect a Washington-made revolution. 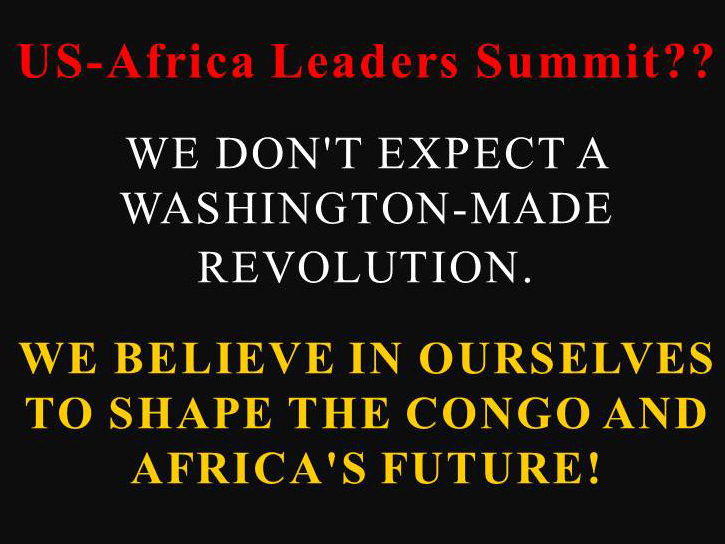 We believe in ourselves to shape the Congo, and Africa’s future! 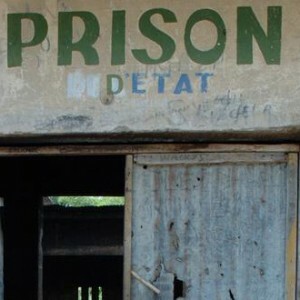 On March 15, about 30 youth activists and international journalists and observers were arrested in Kinshasa during a youth workshop aimed at increasing youth participation in politics and the electoral process, and creating a new youth movement, Falimbi. The arrestees included members of La Lucha . 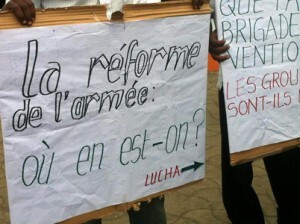 Two days later, La Lucha supporters held a peaceful protest in Goma–outside the headquarters of the local Intelligence Service and demanded the release of their colleagues. At this protest, 11 members of La Lucha members were detained. And then released.